Sometimes auto updates in driver start messing things around on the system configuration and as a result some features stops working . It may happen that a particular tool or software start behaving in an absurd way or it may happen that a basic feature like sound, keyboard etc. in your computer get disrupted. In that case you have no option to uninstall that particular set of driver. But uninstalling a driver is not simply enough as windows 10 will keep downloading, installing and updating that particular set of driver which you juts uninstalled. So, you must have to disable driver update in windows 10. To turn it off or disable it, please follow given steps to do so. 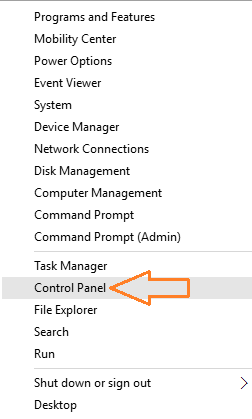 Step 1 – First of all press windows key + x to open the menu and click on control panel in it. Alternatively you can also do a right click on windows icon located in the bottom left of the screen for fetching this menu. Step 2 – In the control panel search box located in the top right of the control panel window, search device installation. In the search result device installation settings will appear. Click on it. Step 3 – Now from the options there, select second radio checkbox saying, no let me choose what to do and also choose never install driver software from windows update. Finally click on save changes. You are done. If this thing does not work for you, you can also choose to install a free troubleshooter from windows to hide available updates which you do not want to install. Once you install and run this troubleshooter tool, it will show you all the available updates which windows 10 will try to download and install. Just hide the update, which you do not want windows to update, and thus windows 10 os will not attempt to download and install that update . This tool just let windows Os update tool to forget that particular update. Now, run this tool as admin and click on hide updates. Hide those updates which you think are giving troubles. Windows will never try to update them again. 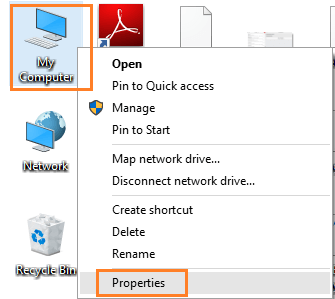 Right click on My computer and click on properties. 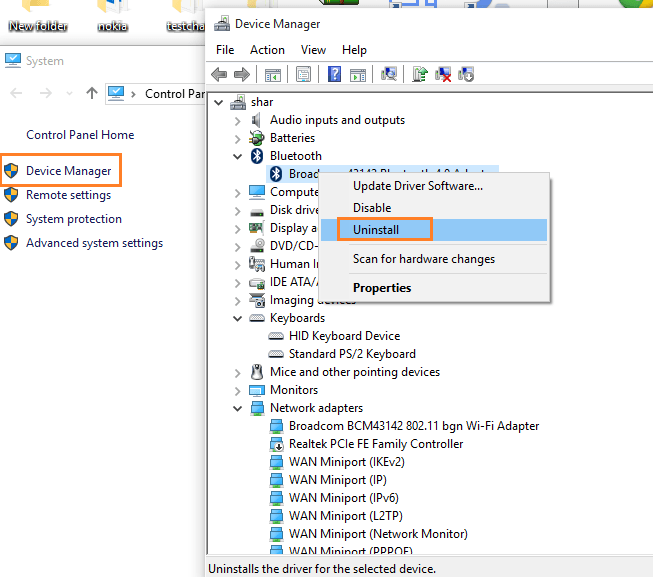 Now, click on the device manager in the left menu. The device manager will appear. 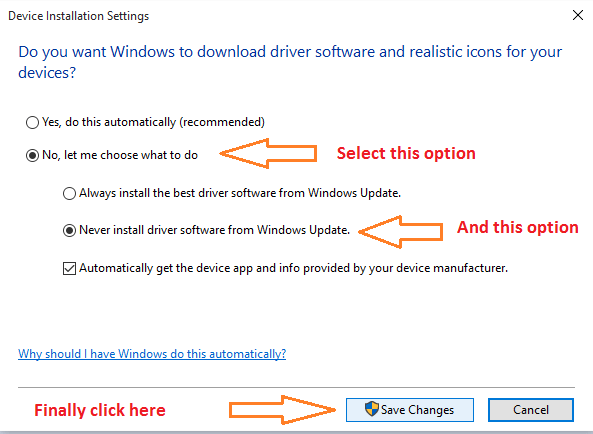 Select the required driver, right click on it and click on uninstall. Conclusion – Although its a good thing to rely on windows 10 to keep your drivers up to date. 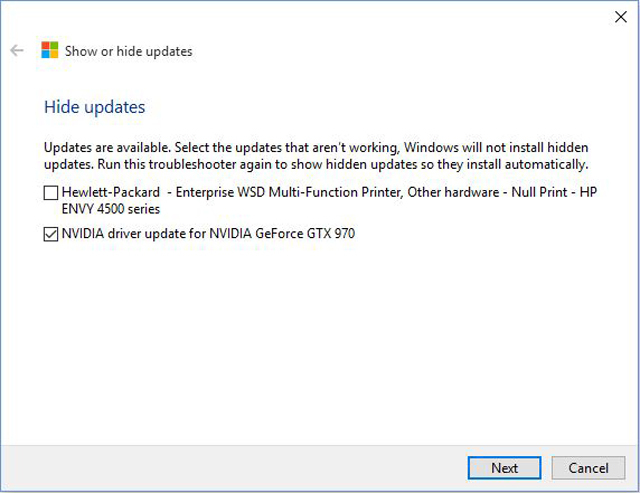 But, if you are experiencing problems, then you can chose to disable update of that driver. But, Before making driver updates the culprit of your system problems, just make sure that this is the main reason.